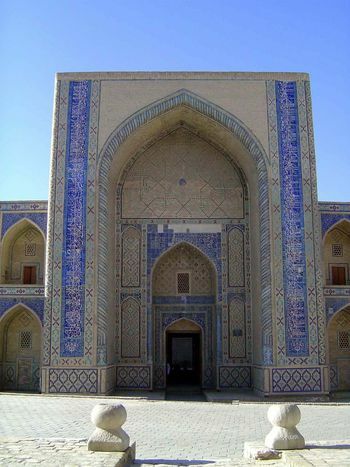 Here's another kosh or pairing of madrasas. 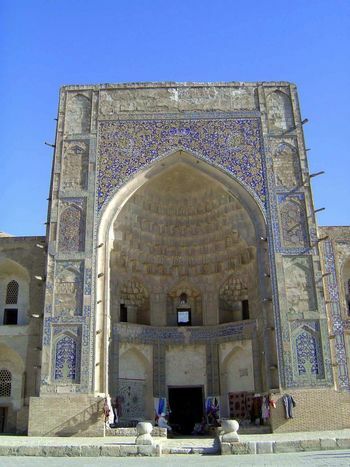 One, that of Ulug Beg, is from 1417, which makes it the oldest madrasa in Central Asia. 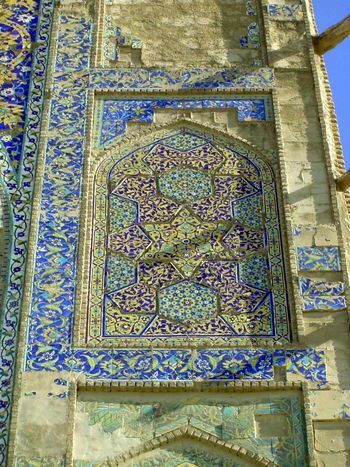 Here's its heavily restored facade. 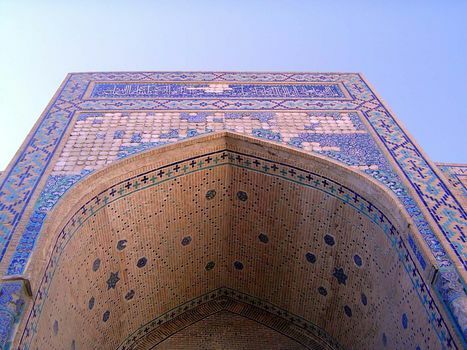 The doors carry an inscription from Ulug Beg to the effect that all Muslims should yearn for knowledge. 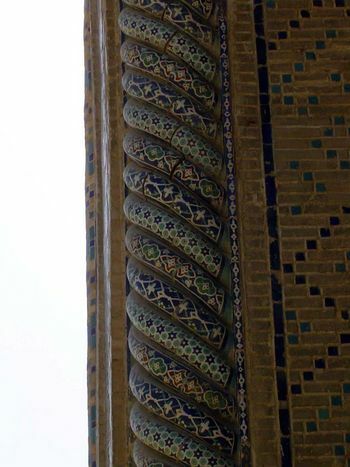 Detail of embedded decorative column. 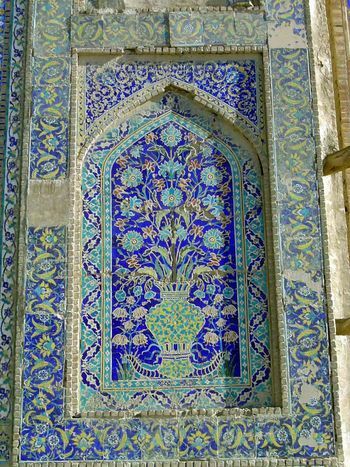 The interior of the madrasa has lost most of its ornament. 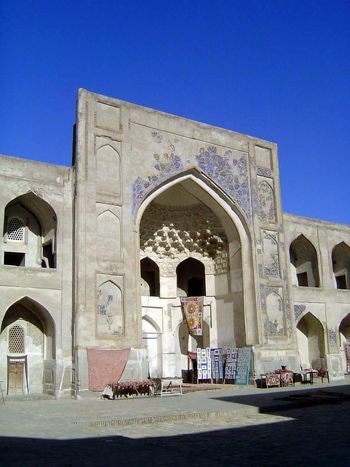 Across the street: the Abdul Aziz Khan Madrasa, from 1651-2.